Really proud to present our new “Ticciaia Yoga House” at our Agriturismo! 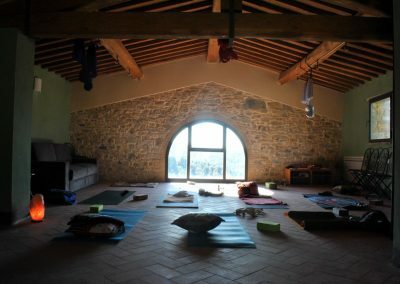 Ticciaia Yoga House is a 90 sq. metres open-space, a recently restored old barn, bright windows on relaxing landscapes of forest and vineyard. With outside spaciuos patio, ideal place to free Mind and regenerate Body and Soul. We’re Yoga fans since years… and we are finally happy to invite you to our next Yoga Retreats. In cooperation with professional teacher, we organize residential yoga seminars or private lessons for our guests. Other welness practices (Reiki, Shiatsu, Meditation) will be also proposed to our guests. Yoga private lessons are available for our guests: please contact us for information and book your Yoga session during your stay at Casa Sola. Ticciaia Yoga house is equipped with air conditioning and heating (useful for Yoga Bikram practicioners), bathroom, and kitchen utilities. 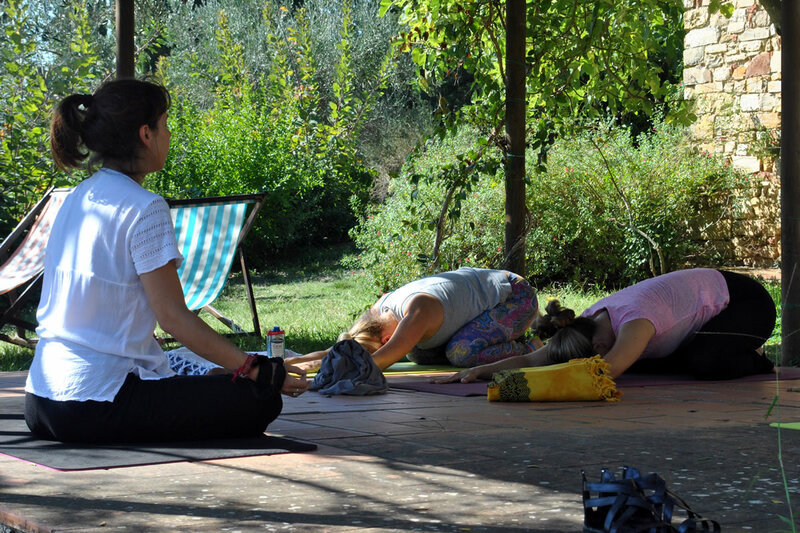 Yoga space, together with our cosy accomodations and garden are at disposal for Holistic and Welness practice with indipendent teacher to organise their own seminars and activities. Capacity: min. 5 people- max 14 people.